The SNP’s attempts to make North Lanarkshire Council reconsider its decision to redeploy 198 classroom assistants descended into farce. After failing to secure permission from the Scottish Government to use Pupil Equity Funding to maintain the posts there will be just one classroom assistant left in each school while their colleagues are being offered roles as additional support needs assistants and early years workers. At last week’s full council meeting the SNP group failed to have standing orders suspended to discuss the matter and then put forward a motion to maintain additional support needs assistant numbers to try and ensure those currently in post were not let go in order to allow classroom assistants to take over the role. However, provost Jean Jones would not allow the use of the phrase ‘classroom assistants’ during the debate leading to some creative use of language such as Mossend and Holytown councillor David Baird referring to them as ‘apprentice additional support needs assistants’. The motion put forward by Cumbernauld East councillor Tom Johnston was defeated by a Labour amendment which stated that the number of additional support needs assistants fluctuates depending on children’s individual plans. 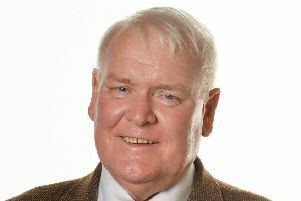 Councillor Johnston said: “It is simply wrong to cut classroom assistant and additional support needs assistant posts. “Redeployment of classroom assistants should be additional to current additional supports needs assistants numbers.